We offer customers Printing and Scanning Facilities in Paddington – simply pop into Reload Internet, login to one of our computers and you will be able to print a single page or hundreds of pages from your email or from the internet. We also offer substantial discounts to local businesses or local architects that require A3, A4 colour and black and white printing. If you are searching for a printing service in London then look no further. We can deal with one page printing (email printing) to 10,000 page printing jobs. We have all of the Printing machines in store and well trained staff to handle any print job. Reload Internet is also a local Paddington fax service and we can send a single page fax or a large volume fax locally or internationally from our store in Paddington to anywhere in the World. Many local businesses use Reload Internet to photocopy timesheets and we are flexible enough to cater to most requirements. We can even hand deliver your large volume printing to your Paddington Central office. Simply give us a call and email us your presentation to print. We will collect payment over the phone, print and prepare your documents for you instore and hand deliver your documents to you same day. We can also rush print documents for you – do not hesitate to contact us with any of your business requirements, we are very flexible. We offer all of our customers, quick fast crisp, print outs from their email or USB stick. We can print directly from you emailing us – or you can use our instore computer and print directly. What is fantastic is that we have colour and black and white printing available in store, in sizes A3 and A4. 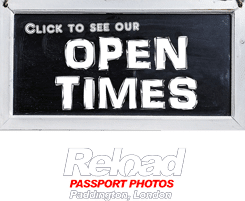 A large amount of tourists in London, pop in to us, just to print their Boarding Cards – and as we are opposite the Paddington Station – its fast and efficient to do this instore. Laminating of your documents and Wire Binding facilities are offered instore and we can bind upto a 400 page document with Thermal binding as well. Our binding services in store, are while you wait, which means that you can pop in at anytime of our opening hours and get it done. Further, We only use, Wire Binding – this is higher quality (we will never use Plastic) and best of all, your documents are able to be opened 360 Degrees with Wire Binding! We offer 10 Percent discounts to students – just show us your ID and mention this website. Reload Internet can create double sided printing for you, or double sided photocopies. However, we charge our printing price per print, not per page, so for double sided sided printing, simply double the price above or take your prints on two pages if you wish. Now that you have printed your document with us, why not take a look at our Binding Services? We offer a fast and efficient service in store that will make your presentation truly spectacular.